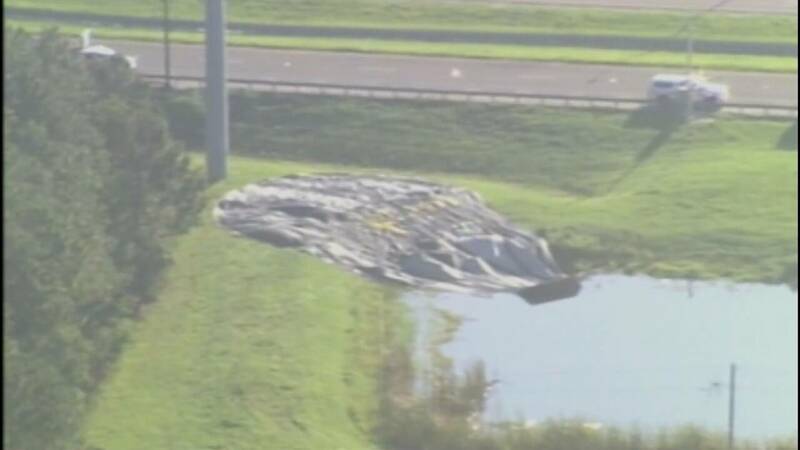 ORANGE COUNTY, Fla. - A hot air balloon carrying 17 people crash-landed and tipped over in a retention pond Monday morning near Walt Disney World, the Florida Highway Patrol said. No one was seriously injured in the crash, which was reported near State Road 429 at Western Way, Orange County Fire Rescue tweeted. Pilot Russ Lucas and 16 passengers, including some children, were aboard the balloon, which is operated by Orlando Balloon Rides, authorities said. "The pilot had to make an emergency landing (because of an issue with the wind)," FHP spokeswoman Kim Montes said. "He attempted to land in a field off the Turnpike, but ended up in a retention pond." "It was scary. It was really scary," a passenger told News 6. "A lot of people were screaming. My girlfriend went underneath it, so I just had to throw my phone away and get her safe. Her dad took care of the little boy." Video recorded by a passenger shows the balloon landing on the water and drifting toward the bank. "All right folks, we're going to get a little wet. Sorry about that," the pilot is heard saying just before the balloon touched down. Moments later, someone is heard joking, "You pay extra for the water landing, guys." The basket then overturned, sending screaming and crying passengers into the pond. Most of the deflated balloon ended up draped across the grass near the southbound lanes of S.R. 429. All lanes of S.R. 429 are open. A man who was driving on S.R. 429 saw the balloon land and called 911. He told the operator he thought all the passengers were OK and that the pilot likely landed the balloon so it wouldn't hit a nearby power line. "I mean, it just looked like a balloon that was on the side of the road that deflated that's why, I think, everybody was just looking at it and drove by it, but I saw people coming out, freaking out. Kids too, that's the unfortunate part, too," the man said. 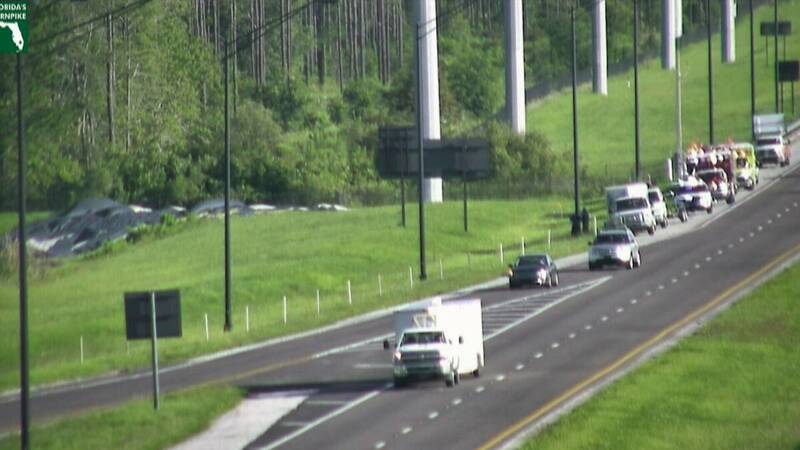 Orlando Balloon Rides will remove the balloon, the FHP said. A hot air balloon crashes near Disney World. Orlando Balloon Rides later released a statement about the incident. "The pilot of an ‘Orlando Balloon Rides’ passenger balloon is being praised after making a split second decision to intentionally make a water landing this morning. "The balloon pilot, with sixteen passengers on board, was preparing for a routine landing near State Road 429 in Orange County. A change of wind direction at ground level just before touchdown meant the pilot was forced to make a quick decision – risk contact with powerlines, or land the balloon in a nearby retention pond. "The basket with all seventeen on board splashed down and stayed upright until drifting near a bank, when it tipped over. One seven-year-old boy ingested some water in the evacuation, so the decision to call an ambulance was made out of an abundance of caution. The boy was treated and released at the scene. "All sixteen passengers are injury free. The only damage is to some personal affects, such as clothing and cellular phones. "The incident has been reported to both the FAA and the NTSB. Orlando Balloon Rides has pledged their full cooperation with any investigation."